Can an '01 EX250 Ninja make a 1800 mile trip with only stopping for fuel and to check fluids. I'm a newbbie and I need to know do motorcycles have to rest a while when taking roast trips. Your input would be very helpful thank you. Make sure your tires are new before the starting the trip and take reasonable steps to insure your chain, sprockets and brake pads are up to the task of such a long trip. 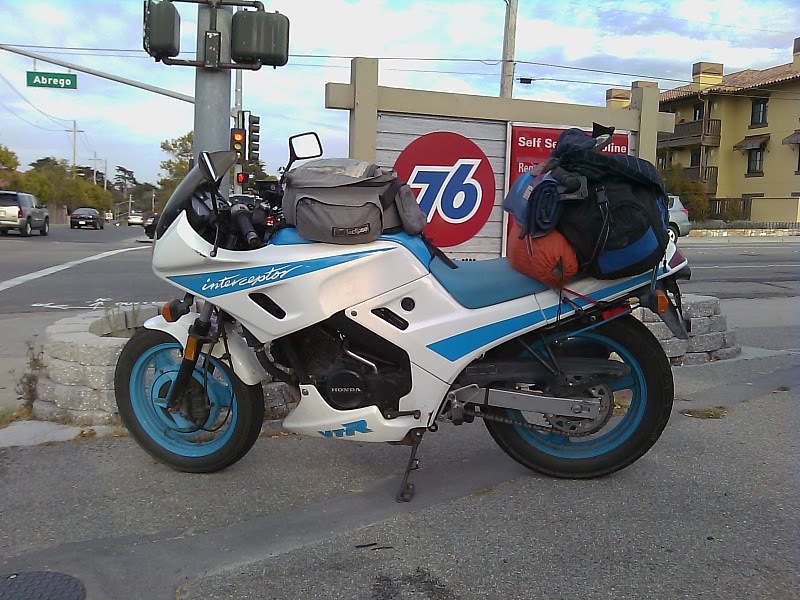 I once met a guy who was basically traveling cross country on a VTR250. He had a wheelbarrow full of gumption with him and all my respect. My input is to plan on stopping. You will not make it. Just wondering if anyone on here has owned or owns one now. I bought mine last summer, its the electric start model and has only 1300 miles on it. Have done a couple simple mods, MSR hand guards & rim locks, everything else on the bike is stock.